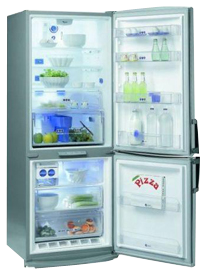 We repair all models and brands of freezers. When your freezer experiences problems such as not cooling enough, leaking, runs noisy or any other issues, let us take care of it. We are ready to receive your call for freezer repair. Your freezer can save you money. Buying in bulk and freezing is a great way to cut down on expenses. Buying in bulk is cheaper and means fewer trips to the store. Fresh, uncooked meats can be stored in your freezer for up to a year. Store food in your freezer in small portions. The food cools more quickly and thaws more readily. Freeze ingredients for a casserole in individual packets (chicken, vegetables, cheese) then place the smaller packets into one large bag. Label well, including thawing and baking instruction then place in the freezer. Remember, freezing will not improve foods, but a good freezer will keep them at their original freshness and quality. For best results, freeze top quality foods.